Hey all! So far my last blog post I am answering the question of “How have you contributed to the learning of others?”. Below I will reference how my involvement in my professional learning network with others has impacted my learning and hopefully my classmates learnings as well. While using twitter I was able to share articles that expanded knowledge of classroom interactions and provided ideas for activities and relationship building. In these tweets the hashtag #edtc300 and #edc400 allows my tweets to be seen more easily by my target audience . I was also able to join in on Twitter Chats and provide my own viewpoints to people on a large scale social network! The CTE Chat was my favourite, it was very welcoming and inviting, and those facilitating the chat made an effort to reply to as many responses as they could and engage in further questioning with participants. Join in to the chat going to the CTE page (shown below) or using the hashtag #CTEChat! Through my Slack and my blog I was also able to comment (weekly, however I forgot to screen shot my comments and am having trouble locating them) and ask questions of my classmates as well as share things of my own that I found online to help people along with their learning project, or to help people who want to learn to knit! An essential part of my blog interaction with others was providing many hyperlinks to the sites and resources I used. If you would like to see all of these hyperlinks in one place, look at my Learning Project Wrap Up Post which links to most of my other posts which contain many links to resources that I used. If you look under my EDTC 300 tab, you will find all of my blog posts which contain links to resources and articles that I blogged about which did not pertain to my learning project. Throughout this learning project I have had a classmate that supported and encouraged me in this challenging learning time. It was such a fantastic moment when we were able to text each other about the accomplishment of completing our learning projects. We contributed to each others learning by providing support in frustrating times and ideas about how to progress when we felt like we were stuck! As well, I have tried to contribute to the learning of others by sharing some of the resources and assignments I used during my internship on my internship page in the units of human rights, population, wealth and poverty, Canadian studies, and law. For other examples of my interactions with others, give my blog a paruse, and click on my twitter account (in my side widget). I hope you find something helpful! I hope that maybe I contributed to your learning throughout the semester. Because you all have contributed to mine! Thanks for the fun semester everyone, I greatly appreciated the learning and interactions that took place. I honestly had no real plans other than to go search on YouTube for materials to use. I watched several videos on knitting before I even had knitting supplies. After I found videos that were simple enough for me to follow along, then I went to Michael’s craft store and picked out a yarn (in a pretty colour obviously) and chose matching needles (the big ones, because all of the videos I watched used big needles and I assumed it was easier that way). The knit stitch was the simplest stitch, according to my videos. So I began there. I practiced this stitch for awhile, wanting to be good at it before I threw another stitch into the mix. The hardest thing for me, was to learn how to handle the yard so as to not drop stitches. This stitch soon-ish became easy for me. I was able to do it consistently in a nice rhythm. Once I could knit several stitches like in the picture directly above, I explored moving on. The purl stitch came next. This stitch was complex, it requires the knitter to pull the yard through itself while on the needle. I dropped so many stitches learning this. My hands wanted to go much faster than needed and I was not consistent at dropping my needle just enough to pull it through. I always dropped my needle too much and the looped yard came off my needle entirely. This stitch-at the beginning- was the bane of my existence. I again, practices just solely this stitch, making sure I would do it consecutively and confidently. I then felt confident enough to actually begin combining the stitches; and although I already knew I wanted to make an infinity scarf for this project, I felt no where near ready to actually begin that process. I started to combine the knit stitch and the purl stitch seeing what this would look like. I really enjoyed how satisfying this knit was, when I combined the stitches and it created the fuzzy “front” and the smooth “back” of the product, I felt like I was actually doing something right. I practiced this over and over, undoing stitches, pulling out entire pieces, and trying to power through mistakes. I was finally ready to start my scarf. I was daunted, and confused about how long knitting this would actually take me. I found it difficult to find time to sit down and knit between having other homework assignments and commitments. Some weeks I went days without even looking at my knitting stuff, always wondering when I would find the time to finish my scarf. The actual scarf knitting process was long, but actually enjoyable. I learned how to fix my mistakes (some, not all), how to control my knitting (I learned how to flip my stitches to change the way my scarf looks), and I also learned some very important fundamentals such as counting your stitches, not casting on or stitching anything too tightly, and pay attention to the size of the wool you use, as well as the size of needle required for that wool. Lastly, as I came to the last few rows of my scarf, I researched how to cast off and create the “infinity” part to my scarf. It was so rewarding to actually finish my project. I was proud of myself. This if my final product. It looks weathered and rough, but all the mistakes are lessons learned, and going forward there will be fewer. This project showed me that I can still learn new tasks, do intricate small movements with my fingers, make something original, and feel proud about something that will ever be seen as perfect. The knitting won’t end here, this was just a warm-up. Hey guys! Thanks for the fun semester, below is the summary of learning video done by Hillary Mercier and myself! Hope you enjoy! What a semester it’s been. I chose to knit because it was something that I was interested in, and something that I had tried once and quit very quickly before I was even able to get a handle on it. This week I finished my infinity scarf. YAY! But before it was actually complete, I sat on my bed, staring at my knitting -that was now long enough for a scarf- and realized I needed to know how to cast off. I went to Youtube and found a video that explained it simply to me. The video I used to cast off is below. The cast off edge of my scarf. The knit is now binded and will not come undone. I’m about to sew the edges together with a regular knitting needle and my leftover yard. Small needles are easier to use at the beginning, but you’ll like the look of the knit with a bigger needle. It’s a tough battle. Yarn slides easier on metallic needles, this was both a blessing and a curse. knitting takes time, find a good show or a movie and watch it while you knit, by the end you’ll be so shocked when you notice how much you have done! This was a fun process. Using online sources to learn how to knit, purl, castoff, and connect was so easy and super enjoyable. Hope you guys all had fun reading, maybe you learned a little something as well! Hey guys! So for this coding assignment I decided to go onto the coding webside: Hour of Code and screencast my coding experience for you! I am a coding beginner, I had done it for a semester in high school, I took a multimedia class and one of my assignments was to code a website about myself. Let me tell you, it was one of the most unenjoyable, yet rewarding things ever. I really did not love the process in any way, but the progress reports and finished product was very rewarding to see, I felt accomplished and successful by the end of the semester. However, still when I think of coding I think of one word- “tedious”. I have completely forgotten everything I learned in that grade 10 class, so this assignment is me starting new. On the Hour of Code site I chose to use the Alice in Wonderland game coding for grade 2-5 because before that when I tried the grades 9 plus coding games, it was far too difficult for me to understand (I’m not really a tech person, but I’m learning!). The video below is my experience and some comments on the process! After this experience we were suppose to answer the question “is coding important, why or why not?”. I’m going to be honest, I don’t feel that coding is important for students to learn in school. I feel that coding (especially with these online games) is a great assistance for kids learning skills such as math, science, geography, etc. However, I feel that it being a good learning tool, is as far as it goes. I don’t think it is necessary for children to learn how to code on a computer, but I am not against classrooms in any way which feel the need to incorporate it. I myself cannot see coding in my future social studies classroom, since it is not really a program that I am comfortable using for my teaching purposes. That being said, I can see some excellent places where it would fit in with in other subject areas, and with teachers who lean more toward the opinion that coding is an important skill in a child’s learning. Maybe you have a different opinion or some thoughts about how you would incorporate coding into social studies. If so, i’d love to hear them! This week we had discussions in class about digital literacy and the ability for people to spot fake news on the web. 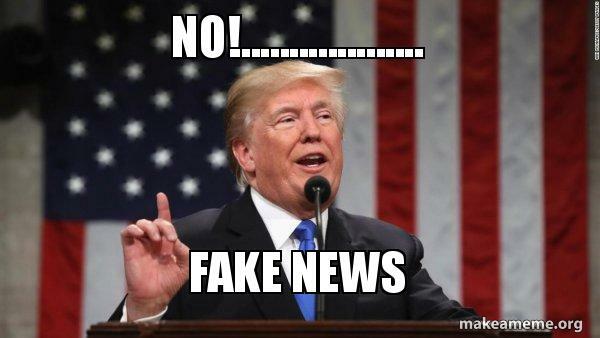 Fake news is something that is perpetuated in today’s world, all it takes is for one well known media source/social media account to share an item of fake news for it to be perceived as real. Spotting these misleading posts is such a critical skills for everyone to possess. It is especially critical that students have the abilities to spot these news sources when on their social media accounts, looking for news sources, writing a paper, or looking for answers to their ever continuing questions. As a high school Social Studies teacher, I am always using current events and news sources in my classroom. It is a regular occurrence for me to pull up several world events on new sites and project them on the white board for my class to see. My students, undeniably would just believe that whatever I am showing them is real. After all, I am the one controlling the information they receive during their 61 minutes in my class. Yet I am often asking students to research news around the world by themselves for assignments. In the Saskatchewan Curriculum document in the un-renewed Social Studies 20 section from 1994, there is not much listed that prompts students to do their own online research. Which makes sense for the time this document was released, 1994 was before the time of mass media and social media accounts. However, as I teach the outcomes in the document, I require my students to research current events on topics such as human rights, population, wealth and poverty, environment, terrorism, etc. I encourage them to use well known news sites like the New York Times , CBC The National , The Globe and Mail, and other well known, credible, national, news sites that publish authors, sources, personal interviews, and photos that relate to the content. These sites are known as safe to use for information. Yet I cannot control where my students ultimately choose to find their information for their homework assignments, so teaching them about digital literacy and how to spot misinformation is highly important to their learning and developing toward understanding of the digital world. The information from Wadle an Jacobson are huge steps toward students becoming digitally proficient in the classroom and in their outside of school online lives. Utalizing online lessons, librarians, and educating students on the types of fake news, ensure that going forward in their lives they will know what to believe and what to be skeptical about. As well, a fun little activity to test your student knowledge about fake new is; Factitious Studio. This site is an excellent tool that tests students’ ability to identity fake news. The little quizzes you are requires to try present you with 5 articles each round, you must read the(short!) article, look at the source, and swipe left (for fake news) or right (for real news). After you swipe you are notified right away if you got the answer correct and why it was correct. The site offers levels from easy-hard for students of all grade types. I tried the first round of level hard and got 4/5 answers correct when spotting fake news. This site is no joke, there were a few articles that I guessed using a wing and a prayer hoping that I was correct in guessing it was fake. Hey all, so this week I was down with the flu for a couple days so I did not get to doing this post until now! I took a quick time lapse video of myself knitting this week. It’s still a slow process but I am making some definite head way on my scarf. I’m also continuing to keep up with the pattern I have been working with. To make this video I used my iPhone, the camera feature has a time lapse option, I then imported the video to iMovie, also on my phone, (I realized however that you can download iMovie alternatives for non mac computers, so I’ll give that a try for my final project!) and slowed it down a touch because the time lapse from the camera moves VERY quickly. This was a neat and simple way to document some of my progess! Also, surprisingly, it was really easy to work with iMovie on my phone. Ideally I would love a mac computer to work on, but I have an HP, so my phone was my only option but it worked well. The video is only about 45 seconds long, but I completed 3 rows. It’s not very much, but I filmed for longer and my phone had issues with the length of the video when trying to import it and email it to myself, so I tried again for a shorter time length. Enjoy! Okay, so this weeks homework was to creep on a classmate on social media, and lets be honest what young millennial female would not enjoy that. Sleuthing is a part of my everyday social media activity, it just naturally happens when I click on a profile that I’m interested in seeing. However, the point of this assignment was so assess the digital identity of the one who we decided to creep. This week, I had the great pleasure of checking out all I could find on Hillary Mercier. Now admittedly, Hillary is one of my best friends. Yet oddly enough I had never really looked her social media before. I mean, I have seen her Instagram posts and I have her on Facebook and such, but never have I ever looked at any of her profiles on the those sites with a purpose. I usually just scroll and double tap on her pictures when they appear on my timeline. But I knew that even though I had not already sleuth-ed her before, I needed to brush out of my mind all that I already know about Hillary and use just solely what I find online to understand how she presents herself digitally. On Hillary’s profile I learned that Hillary is a 21 year old (October 27th is her birthday!) University of Regina student in the faculty of Education. I found pictures of what appears to be her very large family, and images of her growing up with what the captions indicated, were her cousins! I also found out that Hillary is originally from Prince Albert, Saskatchewan and moved to Regina for her first year in the faculty of Education. Of course, Facebook also told me some of her interests, such as the Bachelor, country music, and romantic comedy movies. Hillary’s Instagram profile is locked, and therefore you need permission from Hillary to follow her. After being granted permission, on Hillary’s Instagram profile you quickly see that Hillary has what seems to be a close knit group of friends, who appear several times in the course of her feed. You also see other important people in Hillary’s life such as her boyfriend and her roommates. Lastly, you see the things Hillary likes to do in her everyday life such as going to Riders games, travelling, getting outside, and spending time with those close to her! Feel free to give @MissHMericer a follow to keep up with her thoughts on education and teaching. Through her twitter account I discovered she is an English major and a French minor who loves literature and writing. She is passionate about education and through reading her tweets I became sad that I would never get to experience being a student of hers who would grow to love writing and Shakespeare through her lessons. 1. My favourite place to be in the beach – I love summer! If you haven’t had a chance to look at it, you should check it out! After looking for all that I could find on Hillary, I surveyed what I found and tried not to let what I already knew about her creep into how I saw her online presence. Hillary doesn’t share too much online, you really only get a surface look at her life with some basic details. Yet, through those surface images and posts you get a very strong sense of professionalism and authenticity from her social media accounts. She has a refreshing consistency in her presence on Facebook, Instagram, Twitter, and her blog. Just from what I found online, I would welcome Hillary to teach in my classroom any day! After I spent my time looking through Hillary’s digital citizenship, I spent a few moments watching/reading some things which really had me reflecting on online citizenship and appearances. The first of those is “The Price of Shame” a TedTalk by Monica Lewinsky (linked below). Monica points out that before the age of social media, the way that information was shared to mass audiences were through newspapers, magazines, radio, or television. Which granted, reaches billions of peoples. Yet is still nothing compared to the numbers of people that social media reaches, and in a much quicker time frame. She goes on to speak about how online images and and statuses can be taken out of context and taken without consent, something which people should consider when posting online. What we post of there forever, and accessible to a huge group people. Being kind and respectful online is essential for peoples well being in today’s very public world. Next, I read Having Multiple Online Identities is More Normal than you Think which explains the vast set of online appearances people can present through having multiple online accounts, even on the same social media app. This could be for the purpose of wanting to present yourself in a certain light for different audiences of people who have a certain type of relationship with you! For example, you might have a professional Instagram page that your co-workers or boss follow you on. And you might have another Instagram page for friends and family to post about the activities you did on the weekend. Different content posts for different audiences. In general what I took away from this experience after the cyber stalking, video watching, and article reading, was that we must be careful about how we present ourselves online. Social media is a public platform which allows people to take pictures, posts, and captions out of context. It also opens up the possibility for anyone to save, screenshot, or modify your pictures. It’s very important to be aware of how we present ourselves digitally. We should ask ourselves when posting content, “would I want my boss, co-worker, mother, or a stranger to see this post? How would they see me if they did?”. Our online presence gets stronger and more imperative with every passing year, it’s important that we understand how to properly present ourselves and how to stay safe online. Well this was my cyber sleuthing experience, I hope you all learned a little something about Hillary today that reflects what an amazing person she is! If you ever need an English teacher, welcome her into your classroom someday! Hey all, so this week I will be honest, I was working on a very big assignment for one of my other classes and did not get too much knitting done. However, I did do what I said I was going to do in my last post; turn my mistake into a pattern for the continuation of my scarf! The pattern continuation is shown below! As you can see I made another switch of the “front” and “back” which I will do every once and while! I also watched a video of what to do when you make a mistake in your knit. This video really freaked me out because even though she pulls out her stitches (which is what you’re suppose to do) so seemlessly, I can only imagine the mess I would make of it. Plus, even though I am getting much faster at knitting, I still take some time to finish an entire row and backtracking would take me even longer. Maybe it will be something I am willing to try on my next project! The video I am talking about is below, if you’re a knitter who makes some blunders, I would give it a watch! This coming week I am going to have to knit up a storm. Yikes.